You should be aware of competitions and bursaries to support emerging artists and this will be time-consuming. 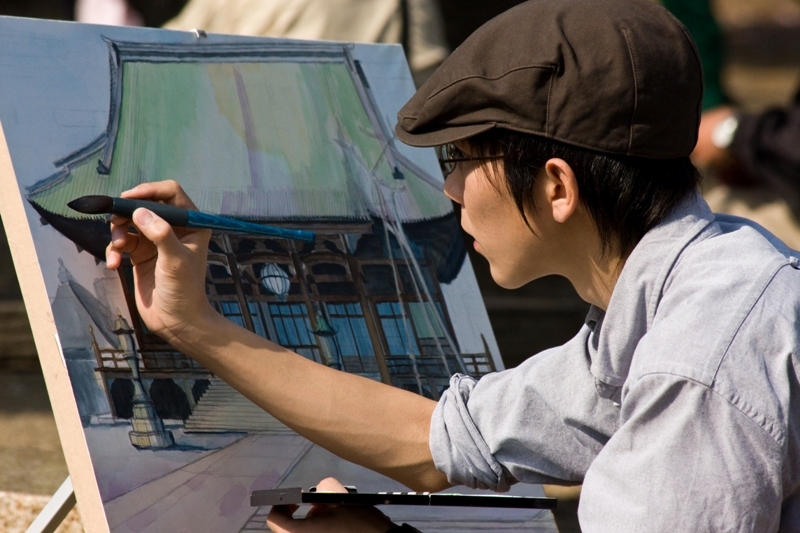 A good place to start looking is A-N which advertises many opportunities for artists. Temporary work contracts such as residencies can make for an interesting and varied career, though periods of unemployment between jobs are a reality for most artists. You will need to showcase your work on Facebook, Twitter, Tumblr and LinkedIn, as well as creating your own website and getting your work onto specialist websites like Artspace. As well as maintaining a strong and current on-line presence, you will also need to socialise in person. Networking events such as gallery openings, will give you the chance to meet other artists, and industry professionals to whom you can promote yourself. You will have to learn to talk up your work at every opportunity, whilst being convivial and amusing. You should also consider joining commissioning agencies such as Midpennine Arts. If your work can be produced in your room this will be a saving, but be aware that many landlords forbid the running of a business from their property. If for example, you are a sculptor, you will need a studio. In Leeds places like East Street Arts and Temple Work rent studios and promote artists work, and there are many similar organisations across the country. It can be helpful to join or form a collective to publicise and exhibit your work alongside like-minded others, such as Black Dog, the Leeds formed group. A study by the Arts Council found that 41% of all creative artists are self-employed but certainly at the start of your career you will probably have to supplement your income with a second job. Some aspirant artists consider teaching but in reality a full-time post will give you little time to develop your career. Being a technician in a school or an art college can give you access to specialist equipment and is less demanding than teaching, but posts are highly competitive. It is also possible to work for a successful artist as a studio assistant – one Leeds Fine Art graduate went straight on to work with Anthony Gormley in London shortly after graduating, so do consider more than bar work or retail! You can drop in with any questions, or for careers guidance Monday-Friday, 9am-4pm. Also check out Prospects and the Careers Centre website for further insights into this career area.